I'm working on a company of Shen-se Tian a group of Battletech pirates that operate spinward of the Capellan Confederation. 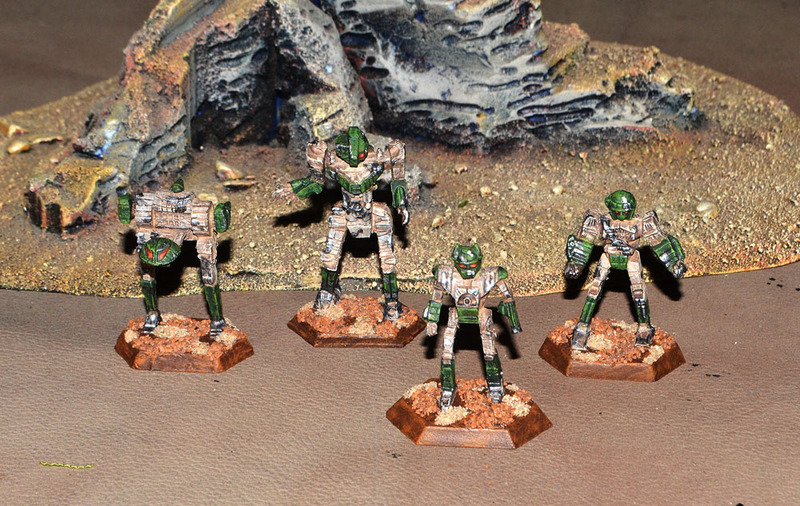 These are the plastic mechs from the older version of the last boxed set. They are really crappy. They have improved the boxed set with better plastic mechs and I hope to pick up a copy of that soon. 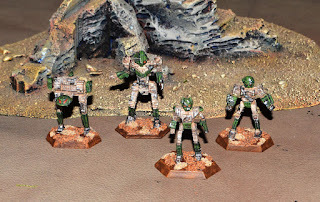 I'm using these guys in my latest Battletech campaign set in the Fronc Reaches in 3067. The players are part of a rag tag mercenary defense force stationed on Rockwellan. Crappy plastic or no, they turned out nicely. Battletech has always been fascinating for me... need to get the newer boxed set some time and give it a go.